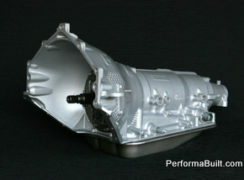 This transmission will support up to 700 RWHP. 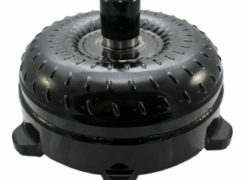 PerformaBuilt does not supply OEM torque converters with Ford Extreme 4X4 and Heavy Hauler transmissions. Units do not come with tail housing. Please specify number of teeth on output shaft where applicable. 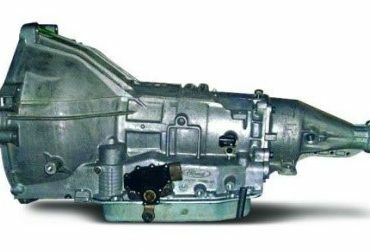 While linkage will be supplied with the unit, we cannot guarantee it will be correct for your application. It may be necessary for you to swap the linkage from your old unit to the new one for proper geometry. Unfortunately, since Ford used so many different types and do not service them, we cannot supply the guaranteed correct linkage assembly. 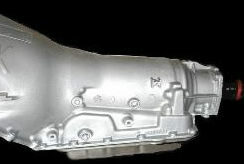 The more we know about your needs, the better we can match you with the right transmission.